Programmers are a part of an exclusive club. They are proficient at writing code and developing websites, and because of that, they share some jokes amongst themselves. Some of the best jokes make their way onto memes. 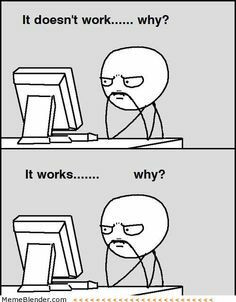 These memes are a great way to get a good laugh if you find yourself frustrated during a particularly difficult programming job. When you first tackle a programming task, you feel like you’re on top of the world. No one can out-program you. Today, you will build a new application, and tomorrow, you will change the world. Only something happens while you’re writing the code. Suddenly, you don’t know what you’re doing. This happens to everyone. When it does, pull up this meme for a little chuckle. Then get back to work so you can achieve your god-like status once again, at least in your own eyes. 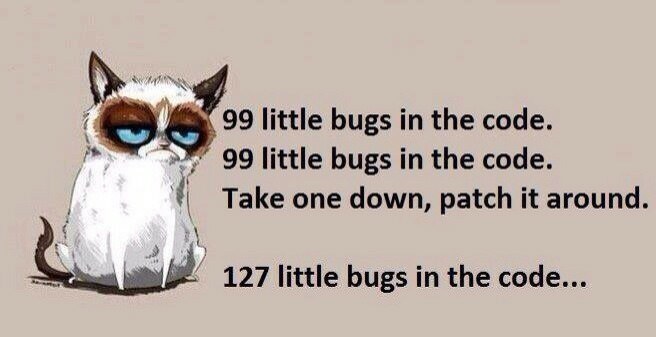 Every programmer has dealt with the issue of bugs in the code from time to time. Even the most skilled programmers make mistakes that cause bugs. Sometimes, those bugs are easy to fix. Other times, though, it seems like you fix 1 bug and 10 more pop up. When that happens, remember that you aren’t alone. Otherwise, someone wouldn’t have taken the time to create a meme about it. Just keep debugging your code, and you will finally fix it. It might not be today or tomorrow, but it will be soon. Programmers often learn on the job. They turn to Google and other search engines to pick up the slack when they aren’t sure what to do. 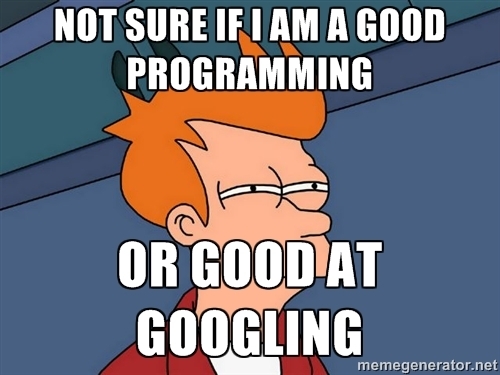 That has led a lot of programmers to wonder if they are good at programming or just good at Googling. The truth is, if you don’t know how to program, you won’t know what to Google. Give yourself some credit for a job well done, even if you had some help. You probably have a favorite programming language that you rely on for your programming jobs. You use it for everything, and then someone comes in and tells you to learn a new one. It’s hard to feel as if it isn’t a big joke at your expense. As a programmer, you feel the same amount of stress, regardless of whether your code works or doesn’t. There is always as big “why” attached to all programming tasks. If it doesn’t work, you need to figure out why. If it does work, you still need to figure out why. 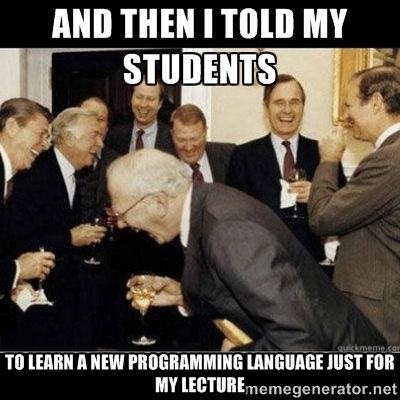 It’s always good to laugh at yourself, especially when you’re doing something as serious as programming. 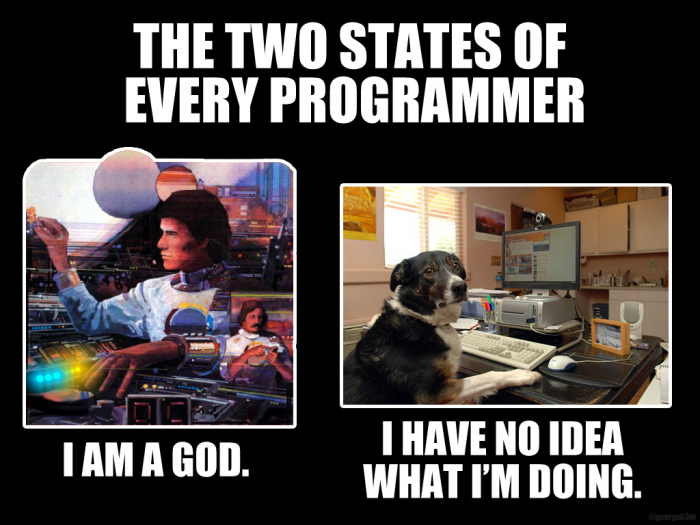 Take some time to get a few laughs in, and then get back to work and write some amazing code.